I recently found Bloomberg's 'Quick Take' section which has very many entries that could prove helpful to IB Economics students. 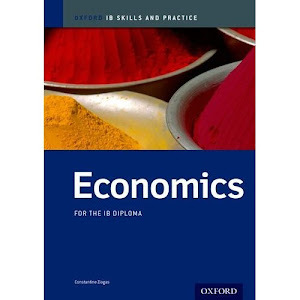 I will introduce this section with a Quick Take on Deflation. 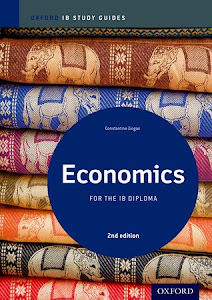 Deflation is under section 2.3 of the IB economics syllabus ('Low and Stable Rate of Inflation') where candidates are asked not only to distinguish between inflation, disinflation and deflation but also to discuss the possible consequences of deflation. Having prices go up more slowly helps consumers and can boost purchasing power. But when they actually drop, economic activity screeches to a halt. Households hold off making purchases as they anticipate further price declines; companies postpone investment and hiring as they are forced to cut prices. Sliding prices eat into sales and tax receipts, limiting pay raises and profit margins. They add to the debt burdens of companies and governments that would otherwise be eroded by inflation. Students will also find excellent examples and reference material. In this New York Times article the latest policy initiative by the European Central Bank is presented: Europe's Bank Takes Aggressive Steps.